NO MATTER how many stars there are in the culinary sky, when Ferran Adria is the scheduled speaker, the huge auditorium is filled up. That’s what happened during the three-day food conference known as Madrid Fusion, Spain’s major culinary show, where chefs and even computer technologists from all over the world gather to hear the latest techniques and show off their creativity. This year, it was held Jan. 25-27. Adria wasn’t an imposing figure. He wasn’t tall, was balding and was dressed in street clothes instead of his trademark whites. But when he began to talk, the big auditorium was quiet. Adria began by saying that last year when he announced the closing of elBulli, his revolutionary and successful restaurant in Roses, Spain, none of the journalists asked him what he was going to do next. 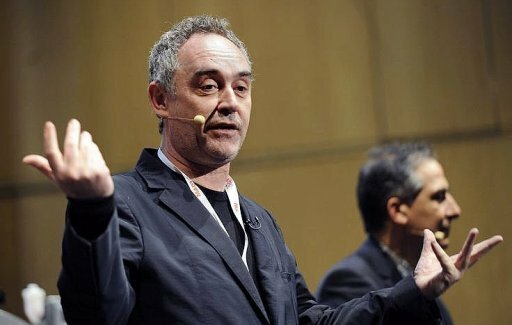 And so he was announcing at this time that when elBulli closes in June 30 this year, the elBulli Foundation would begin the same day. He was supposed to make the announcement in 2013 but decided to move it ahead. It wasn’t easy to digest everything chef Adria was explaining. It was bewildering in the sense that here was a genius trying to explain what he wanted to do next, and in a way that to him sounded plain and simple. There was a session just for the press afterwards to take in more questions from the media. But it wasn’t as enlightening either. My simplistic summary of the presentation is that the Foundation, situated near elBulli, would be a place where chefs can create, discuss and interact with other researchers like journalists, scientists and philosophers. First, Adria wanted to show the physical look of the Foundation. For that he called his architect, Eric Ruiz Geli, whom he described as a man who listens to the ideas of clients rather than insists on his own. When Geli began his presentation by saying how people, places and things were made of molecules arranged in a certain way, I remembered the term which has come to describe Adria’s cooking—molecular gastronomy. It’s a term Adria himself hates, according to his biographer Colman Andrews in the book, “Ferran Adria: The Man Who Changed the Way We Eat” (Phaidon Press, Ltd., London, 2010). The foundation design will include new materials and digital innovations that would probably make it a showcase of a new architecture that takes into consideration such factors as salinity levels, winds, relative humidity, geothermal and photosynthesis. It also promises to cut carbon emissions. The initial plans for what Adria called the “idea center” showed several demijohns with walls made probably of a glass-like material and pillars like the neck of that glass container supporting the roof, which looked like a wavy net with peaks and ebbs. This is a place where chefs can create, said Adria. He suggested that chefs needed a place away from the kitchen to create, and the Foundation would provide that space and that quiet time, but at the same time keep the fun going. Adria promised to uphold the natural preserve of Cala Montejo, the place in the region of elBulli. The seascape and landscape will be integrated into the design. Apart from the “idea center,” Adria announced there will be an elBulli archive, a data center with digitized files of recipes and experiments done during the 15 years of the restaurant. In 1987, elBulli decided to close for 6 months; Adria said it was because no one came in the winter. In 1993, a 350-square meter kitchen was built for the 19 to 12 chefs then working, which eventually ballooned to 45 chefs. The expansion left him and his partners nearly broke. In 1998, the Barcelona workshop was opened even as he confessed he didn’t know what a workshop was. But this was when he understood that creativity and productivity were separate. Restaurateurs were bewildered that he only served dinner most of the time, when opening the whole year and serving both lunch and dinner could have earned him millions of euros. And then elBulli had no menu which made it difficult for culinary guides like Michelin to appraise the restaurant. “A menu would have shackled us,” was his explanation. It was beginning in 2002 when, for a year and a half, he and his team didn’t create anything for elBulli. He went to Japan, fixed up the restaurant in 2007-2008, but in 2009 realized that something was missing. 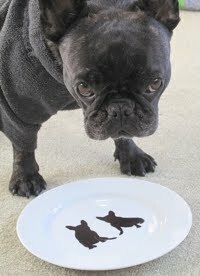 If his chefs wanted to create, this was not the way to go, he thought. Perhaps he knew we were bewildered, and he assured the audience with his parting words. “Trust us,” he said. After he made elBulli the number one restaurant in the world, influenced countless chefs with his ideas and changed the way many of them cook, that isn’t asking much. Aldrin Salipande noted how the subhead of the article on Lucban said his hometown is part of Laguna. Nothing in the article, though, said that, and I apologize. On the Dimas-Alang Bakery story, Robert Javier corrects his father-in-law’s first name as Manolo, not Manalo, and that of Manolo’s wife as Payapa, Paying or Baby to friends. And for the many people who asked for the address of Dimas-Alang Bakery, it’s 52 A. Mabini, St., Kapasigan, Pasig.